Binh exposed as a proactive consultant who are full of enthusiast about consulting clients and candidates as well as obtaining from them valuable industry knowledge. 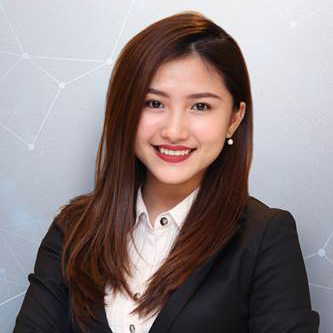 As the passion come to result, with strong drive to succeed and her analytical and critical problem solving skills, she managed to build up portfolio of high-level placement such as Country Sales Director, Legal Manager and Marketing Chief for key market players among those there are many 500 Fortune Companies. She was inspired to believe that executive search profession come from the passion to create sustainable value to each person’s life ,to each business’s future and to the society. Targeted candidate should have solid experience in portfolio management at foreign investment fund/ venture capital. •	Implement reports evaluating the operational efficiency of the investment portfolio, periodically reporting on investment activities and post-investment management. •	Ensure compliance with professional ethics policies, information security policies and all applicable laws related to investment activities.